Promoting your blog is a huge part of growing it. I used to think that writing endless posts would make the visitors just flock to my site. That’s not actually how it went at all! I realized all the time I’d spent writing could’ve been put to better use when it ended up being crickets after I hit publish. Throughout the years, I realized just how essential promotion is when it comes to blogging. Sure, writing is important. But promotion is just as important for growing your blog. Many beginner bloggers (me included) feel like we need to churn out so many posts and write daily in order to build up content on our blogs. Yes, content is important. But what’s the point of having amazing content if people don’t even know about it? That’s the thing. You could write the best blog post ever and nobody would visit it because nobody knows about it! That’s why promotion is so important. You need to go out there and promote blog posts so people can discover them & share them. And promotion is so much more than just sharing it once. In fact, you should be spending most of your time promoting vs. writing. Think 80/20! So let’s talk about the 10 ways you can start promoting your blog like right now. The first way to promote your blog is with Search Engine Optimization. This simply means using the right keywords in your writing so that your posts can be found with search engines. So you want people to be able to find your work with Google! Google can promote blog posts for you for free… but you have to work on your SEO for that to happen. On self-hosted WordPress, SEO can easily be done for your blog. With the plugin Yoast SEO, you can be guided on how to make sure your articles are optimized. As you’re writing your blog post, Yoast SEO gives you step by step tips on how to make sure your content is ready for Google. It’ll check the length of your posts, whether your images are optimized, and what you can do to improve the readability of your posts. I am a Pinterest manager, so I might be a little biased in saying this (but probably not). 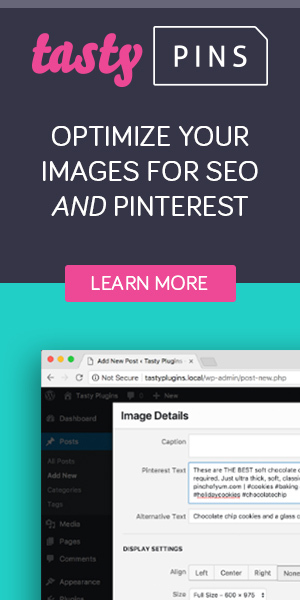 Pinterest is *the* key to growing your blog and promoting your traffic besides SEO. And I’ve been singing this tune since before taking on Pinterest as my full-time business! Seriously. If you’re not on Pinterest, what are you doing?! Pinterest is a visual search engine. People love heading over to Pinterest to search for things. Whether that’s a recipe, a tutorial, an article, you name it. People are looking for it on Pinterest. Think about your own habits on the platform and it’ll make sense why it’s a great place to promote blog posts on. I’m an Instagram addict and I love spending time on there looking at Stories and seeing what other bloggers and entrepreneurs are up to. A lot of the new content I find and blogs I subscribe to, I find through Instagram. It’s an awesome way to connect with your audience and build a community. And it’s also an awesome way to share your content with the world. And contrary to popular belief, you do not need the Swipe Up feature to get people to check out your blog! Just make sure to optimize your bio & include a call to action to get people to head over to your profile and click on your blog. So many bloggers have told me in the past that they DON’T have an email list! This is huge. An email list is a direct way to get in contact with your readers. Sure you can use social media to promote your blog and post updates. BUT remember this: you do not own these platforms. Facebook, Instagram, Pinterest, and Twitter can all shut down one day or have your accounts removed. You lose the audience you worked hard building. But with an email list, you own that girl! You have the power to pop into someone’s inbox and directly let them know what’s up. Plus, you can provide valuable content that is specifically exclusive to your list. I send out a reader survey to my audience every year. And this past year, the results showed that the #1 way that my readers keep up with me is through my email list newsletters. Oh, and the survey also let me know that a huge portion of my readers don’t have their own email list! Bloggers are neglecting this part, but it’s actually so important. Start your email list. You won’t regret it. You can start an email list for free (up to 1,000 subscribers) with MailerLite. Check out this tutorial to learn how! While I’m not that active in Facebook groups now, when I first started my blog it was a huge part of my marketing strategy. And it paid off. If you have content that could help others like tutorials and how-to’s, think about who you wrote these tutorials for. Are they moms? College students? Women? Entrepreneurs? Then think about where they would hang out. Which Facebook groups would they be hanging out in? Once you know more or less what types of Facebook groups your target audience is in, join it and become helpful. DON’T become spammy & use it just for self-promotion. Use the search function to see if people are asking questions and give them advice. Leave a link to a relevant blog post if the group rules permit it. This will help create credibility and make people think of you as the go-to girl for whatever you blog about. You can also check out blogging Facebook groups. Those usually have weekly threads that allow you to promote your latest blog posts. Do some research and start using Facebook to your advantage. I love commenting on other blogs! While you might not always have time for it, it’s a good tactic to keep in your arsenal. Whenever you find an article you enjoy on a blog, make it a point to let the blogger know what you thought about it! Don’t be spammy and be too promotional with this method. Just use it as a way to meet other bloggers and get your name out there. It can help you find your community and people might start recognizing your name more because they’ve seen it on other blogs. It helps you build a reputation! You might not have thought of this method, but you can always leave a link to your blog or your latest blog post at the end of your email signature. That way everyone you email, will see it and might be enticed to give your blog a read. It’s part of your signature so it’s not too pushy and can be a great way to promote blog posts! Then, while you’re off sending emails, your signature is doing the work for you. Guest blogging is a very popular way of getting your name out there too. Sometimes you’ll find blogs that accept guest posting. This means that you get a chance to write a blog post for other bigger, most established blogs. A lot of the time, you usually get an author bio in the post where you can include links to your blog, specific blog posts, or a freebie, etc. So this helps you because 1. You’ll get a link back from a blog with more traffic which is great for SEO. 2. You’ll be exposed to a totally different audience where you can establish yourself as an expert on the topic. I’ve guest blogged a handful of times and it has been very helpful for me to gain new readers & build traffic. It’s also great for building RELATIONSHIPS with other bloggers! Psst… We’re currently accepting guest bloggers — apply here! LinkedIn is another platform you can use to promote your blog. If you write about business, career advice, web design, etc then you can definitely make your content work on LinkedIn. This is the perfect place for business blogs to promote blog posts. It’s actually a super underrated platform & so many people don’t even realize the potential it has to expand your reach. But remember, LinkedIn is super focused on biz so if that’s your niche, you’ll have a better time sharing your content there. And the best way to get your content in front of the right people there is by having a complete profile, building your connections, and creating brand awareness. Try to share relevant posts on the platform as often as you can, interact with the community, and stay active online! Have you ever looked something up and ended up on Quora? Quora is a platform where you can ask and answer questions. If you’re a pro in a certain topic, you might want to head over to Quora and see if there are any questions you can answer or provide your expertise on. This Q&A platform is a unique way to uplevel your content marketing strategy. As a blogger, one of the main things we do is help our readers solve their problems. We share content & tutorials to help people learn something new. So what better way to do it than on another platform that can bring long-term traffic for your blog? The more you answer questions and people “upvote” your answers, the more you’re able to establish authority and bring even more pageviews to your website. Promoting your blog is HUGE. I spend more time promoting than I do writing because I write evergreen posts that are relevant year round. The best thing you can do to grow your blog is to create a promotion strategy using a handful of methods from the list above. I highly recommend starting out with just a few or you’ll burn out quickly trying to do #allthethings. Think about where you’ll promote your blog & how often you’ll do it and use that information to create your strategy. Remember: not all blogs and niches are the same so not every single method will work for everyone. I encourage you to test the waters and see what works best for you and then build on that! Thanks for the suggestions Amanda. I’m on your email list. I need to get on Quora more. but i love the email signature idea as well. I use mostly Pinterest and SEO heavily because it’s more passive and I get more new readers that way. I also promote to my email list whenever I can.